Take time to evaluate your greenhouse structure as a whole. 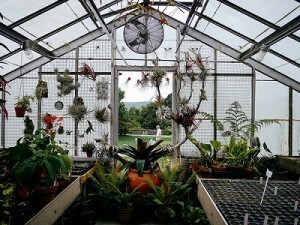 While at it, note that warm air or cool air has to potential to escape your greenhouse easily. 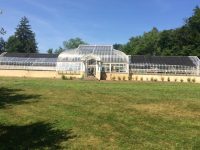 So if you are trying to maintain specific temperature levels within the greenhouse, understand that the losses you experience may vary from time to time depending on the covering of the structure as well as its age. If you wish to heat the structure efficiently, consider using an even covering made of double polythene. This can reduce heating costs by as much as 50%. 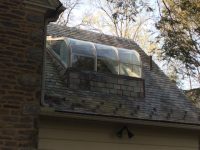 If on the other hand you operate a glass greenhouse, consider retrofitting the structure with yet another double layer of polythene. This will reduce costs by as much as 60%. 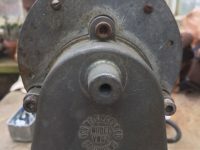 Eliminate air leaks as much as you can. Start from the door structure as this is where the most amount of air escapes. The best way to curb the problem is to have a special door closing unit. You can alternatively install springs on the greenhouse doors to prevent too much from escaping. Placing weather stripping around all openings of your greenhouse unit is yet another sure way of preventing air escape. Be sure to place the stripping around openings that are near air fans. Then repair holes on the siding of your greenhouse foundation as soon as you notice them. This has everything to do with insulation. There are so any ways you can go about it. One of the best ways is to line the interior part of your greenhouse with bubble wraps. This results into what experts refer to as the ‘Thermopane effect’ inside the greenhouse. In other words, the wraps enhance insulation. 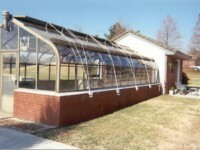 If you have an old greenhouse structure, simply add a double later of plastic over the greenhouse. This will reduce infiltration and heat loss by up to 50%. Up to 80% of heat loss from greenhouses occurs at night. Using thermal blankets to retain heat is therefore a cost efficient investment worth considering. These blankets are designed primarily for heat retention. They can reduce energy by as much as 50%. Keep in mind that they come in so many designs. Some are in fact so advanced that they have been proven to reduce energy winter use by as much as 30%. Insulate the foundation of your greenhouse unit for maximum energy efficiency. This should be easy if you use a board made of polystyrene or polyurethane. The board should have a thickness of at least two inches. It should then be placed approximately 15 inches beneath the ground. That way, it will easily prevent heat loss. The soil near the sides of your greenhouse structure around the insulation will also increase heat by up to 10 degrees in winter months. Have a greenhouse expert on your speed dial to assist you with your greenhouse project. Then always refer to your greenhouse manual but do not rely on it too much. It is good to have an expert come around at least once a month to monitor your progress. With the expert around, it should be easy to note structural defects and any other factor that may need urgent fixing.